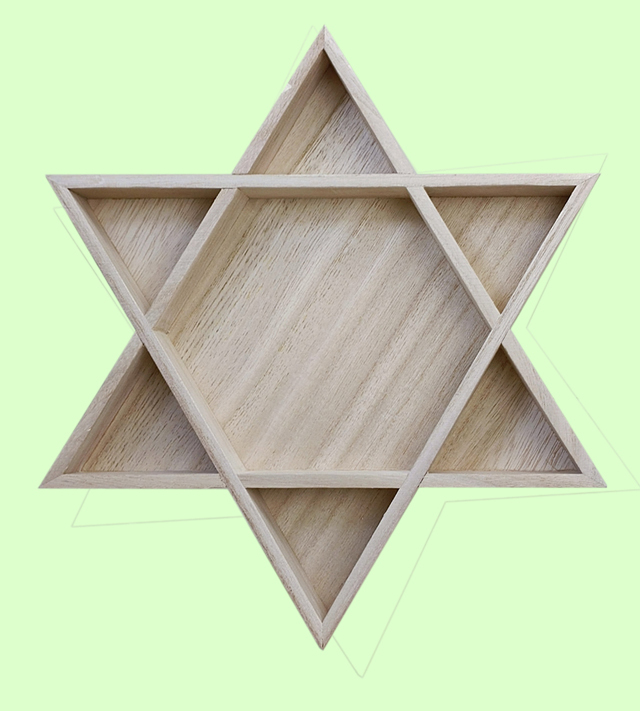 This wood Star of David is divided into seven sections. It measures 10.5" corner to corner, 9.5" side to side, 1.25" deep . The dimensions are outside measurements. It is available in the Garden colors. The sample basket is finished in Delphinium. This item is also available in a five corner star. Please click item F3093 to view this star.